It’s been a great year! To recap, in rough chronological order, 2011 saw: The most popular post (with 562 comments and counting; granted, most of them consisting of Indians and Pakistanis flaming each other); Visualizing the Kremlin Clans (joint project with Kevin Rothrock of A Good Treaty); my National Comparisons between life in Russia, Britain, and the US; my interview with (now defunct) La Russophobe; interviews with Craig Willy and Mark Chapman; lots of non-Russia related stuff concerning the Arctic, futurism, Esperanto, and the Chinese language; possibly the most comprehensive analyses of the degree of election fraud in the Duma elections in English; TV appearances on RT and Al Jazeera; and what I hope will remain productive relationships with Al Jazeera and Inosmi. Needless to say, little if any of this would have been possible without my e-buddies and commentators, so a special shout out to all you guys. In particular, I would like to mention Alex Mercouris, who as far as I can ascertain is the guy who contributed the 20,000th comment here. I should send him a special T-shirt or something. In previous years, my tradition was to review the previous year before launching into new predictions. I find this boring and will now forego the exercise, though in passing I will note that many of the defining traits in 2010 – the secular rise of China and of “The Rest” more generally; political dysfunction in the US; growing fissures in Europe, in contrast to Eurasian (re)integration; the rising prominence of the Arctic – have remained dominant into this year. The major new development that neither I nor practically anyone else foresaw was the so-called “Arab Spring”, as part of a pattern of increasing political stress in many other states: Occupy Wall Street and its local branches in the West; the Meetings for Fair Elections in Russia; Wukan in China and anti-corruption protests in India. I don’t disagree with TIME’s decision to nominate The Protester as its person of the year. However, as I will argue below, the nature of protest and instability is radically different in all these regions. I will finish up by reviewing the accuracy of my 2011 predictions from last year. 1. 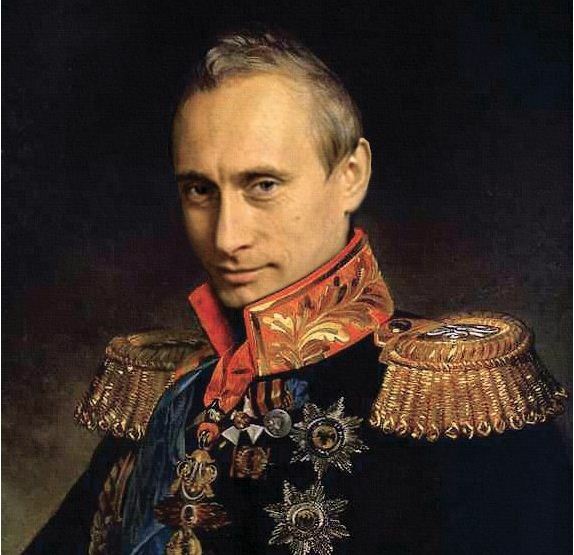 There is little doubt that Putin will comfortably win the Presidential elections in the first round. The last December VCIOM poll implies he will get about 60%. So assuming there is no major movement in political tectonics in the last three months – and there’s no evidence for thinking that may be the case, as there are tentative signs that Putin’s popularity has began to recover in the last few weeks from its post-elections nadir. Due to the energized political situation, turnout will probably be higher than than in the 2008 elections – which will benefit Putin because of his greater support among passive voters. I do think efforts will be made to crack down on fraud so as to avoid a PR and legitimacy crisis, so that its extent will fall from perhaps 5%-7% in the 2011 Duma elections to maybe 2%-3% (fraud in places like the ethnic republics are more endemic than in, say, Moscow, and will be difficult to expunge); this will counterbalance the advantage Putin will get from a higher turnout. So that’s my prediction for March: Putin wins in the first round with 60%, followed by perennially second-place Zyuganov at 15%-20%, Zhirinovsky with 10%, and Sergey Mironov, Mikhail Prokhorov and Grigory Yavlinsky with a combined 10% or so. If Prokhorov and Yavlinsky aren’t registered to participate, then Putin’s first round victory will probably be more like 65%. 2. I will also go ahead and say that I do not expect the Meetings For Fair Elections to make headway. Despite the much bigger publicity surrounding the second protest at Prospekt Sakharova, attendance there was only marginally higher than at Bolotnaya (for calculations see here). So the revolutionary momentum was barely maintained in Moscow, but flopped everywhere else in the country – as the Medvedev administration responded with what is, in retrospect, a well balanced set of concessions and subtle ridicule. Navalny, the key person holding together the disparate ideological currents swirling about in these Meetings, is not gaining ground; his potential voters are at most 1% of the Russian electorate. And there is no other person in the “non-systemic opposition” with anywhere near his political appeal. There will be further Meetings, the biggest of which – with perhaps as many as 150,000 people – will be the one immediately after Putin’s first round victory; there will be the usual (implausibly large) claims of 15-20% fraud from the usual suspects in the liberal opposition and Western media. But if the authorities do their homework – i.e. refrain from violence against peaceful protesters, and successfully reduce fraud levels (e.g. 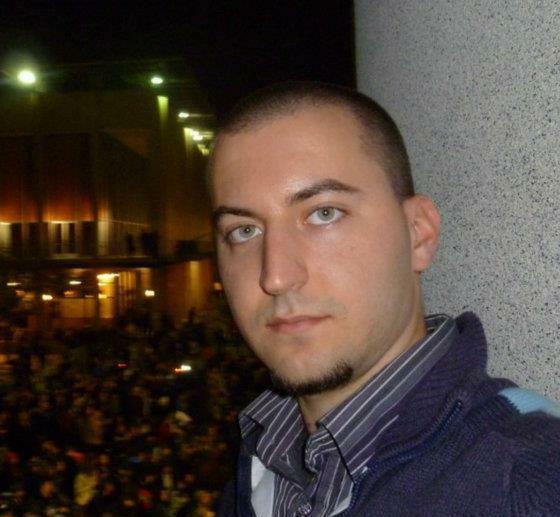 with the help of web cameras) – the movement should die away. As I pointed out in my article BRIC’s of Stability, the economic situation in Russia – featuring 4.8% GDP growth in Q3 2011 – is at the moment simply not conductive to an Occupy Wall Street movement, let alone the more violent and desperate revolts wracking parts of the Arab world. 3. Many commentators are beginning to voice the unspeakable: The possible (or inevitable) disintegration of the Eurozone. I disagree. I am almost certain that the Euro will survive as a currency this year and for that matter to 2020 too. But many other things will change. The crisis afflicting Europe is far more cultural-political than it is economic; in aggregate terms, the US, Britain and Japan are ALL fiscally worse off than the Eurozone. The main problem afflicting the latter is that it suffers from a geographic and cultural rift between the North and South that is politically unbridgeable. The costs of debt service for Greece, Portugal, Italy, and Spain are all quickly becoming unsustainable. They cannot devalue, like they would have done before the Euro; nor is Germany prepared to countenance massive fiscal transfers. The result is the prospect of austerity and recession as far as the eye can see (note that all these countries also have rapidly aging populations that will exert increasing pressure on their finances into the indefinite future). Meanwhile, “core Europe” – above all, Germany – benefits as its superior competitiveness allows it to dominate European markets for manufactured goods and the coffers of its shaky banking system are replenished by Southern payments on their sovereign debt. The only way to resolve this contradiction is through a full-fledged fiscal union, with big longterm transfers from the North to the South. However, the best the Eurocrats have been able to come up with is a stricter version of Maastricht mandating limited budget deficits and debt reduction that, in practice, translates into unenforceable demands for permanent austerity. This is not a sustainable arrangement. In Greece, the Far Left is leading the socialists in the run-up to the April elections; should they win, it is hard to see the country continuing on its present course. On the other side of the spectrum, the Fidesz Party under Viktor Orbán in Hungary appears to be mimicking United Russia in building a “managed democracy” that will ensure its dominance for at least the next decade; in the wake of its public divorce with the ECB and the IMF, it is hard to imagine how it will be able to maintain deep integration with Europe for much longer. (In general, I think the events in Hungary are very interesting and probably a harbinger of what is to come in many more European countries in the 2010’s; I am planning to make a post on this soon). Maybe not in 2012, but in the longer term it is becoming likely that the future Europe will be multi-tier (not multi-speed). The common economic space will probably continue growing, eventually merging with the Eurasian Union now coalescing in the east. However, many countries will drop out of the Eurozone and/or deeper integration for the foreseeable future – the UK is obvious (or at least England, should Scotland separate in the next few years); so too will Italy (again, if it remains united), Greece, the Iberian peninsula, and Hungary. The “core”, that is German industrial muscle married to Benelux and France (with its far healthier demography), may in the long-term start acquiring a truly federal character with a Euro and a single fiscal policy. But specifically for 2012, I expect Greece to drop out of the Eurozone (either voluntarily, or kicked out if it starts printing Euros independently, as the former Soviet republics did with rubles as Moscow’s central control dissipated). The other PIGS may straggle through the year, but they too will follow Greece eventually. I expect a deep recession at the European level, possibly touching on depression (more than 10% GDP decline) in some countries. 4. How will Russia’s economy fare? A lot will depend on European and global events, but arguably it is better placed than it was in 2008. That said, this time I am far more cautious about my own predictions; back then, I swallowed the rhetoric about it being an “island of stability” and got burned for it (in terms of pride, not money, thankfully). So feel free to adjust this to the downside. The major cause of the steep Russian recession of 2008-2009 wasn’t so much the oil price collapse but the sharp withdrawal of cheap Western credit from the Russian market. Russian banks and industrial groups had gotten used to taking out short-term loans to rollover their debts and were paralyzed by their sudden withdrawal. These practices have declined since. Now, short-term debts held by those institutions have halved relative to their peak levels in 2008; and Russia is now a net capital exporter. I assume this makes Russia far less dependent on global financial flows. Though some analysts use the loaded term “capital flight” to describe Russia’s capital export, I don’t think it’s fair because the vast bulk of this “flight” actually consists of Russian daughters of Western banking groups recapitalizing their mothers in Western Europe, and Russians banks and industrial groups buying up assets and infrastructure in East-Central Europe. The 2008 crisis was a global financial crisis; at least *for now*, it looks like a European sovereign debt crisis (though I don’t deny that it may well translate into a global financial crisis further down the line). There are few safe harbors. Russia may not be one of them but it’s difficult to say what is nowadays. US Treasuries, despite the huge fiscal problems there? Gold? Political risks? The Presidential elections are in March, so if a second crisis does come to Russia, it will be too late to really affect the political situation. Despite the “imminent” euro-apocalypse, I notice that the oil price has barely budged. This is almost certainly because of severe upwards pressure on the oil price from depletion (i.e. “peak oil”) and long-term commodity investors. I think these factors will prevent oil prices from ever plumbing the depths they briefly reached in early 2009. So despite the increases in social and military spending, I don’t see Russia’s budget going massively into the red. What is a problem (as the last crisis showed) is that the collapse in imports following a ruble depreciation can, despite its directly positive effect on GDP, be overwhelmed by knock-on effects on the retail sector. On the other hand, it’s still worth noting that the dollar-ruble ratio is now 32, a far cry from what it reached at the peak of the Russia bubble in 2008 when it was at 23. Will the drop now be anywhere near as steep? Probably not, as there’s less room for it fall. A great deal depends on what happens on China. I happen to think that its debt problems are overstated and that it still has the fiscal firepower to power through a second global crisis, which should also help keep Russia and the other commodity BRIC’s like Brazil afloat. But if this impression is wrong, then the consequences will be more serious. So I think that, despite my bad call last time, Russia’s position really is quite a lot more stable this time round. If the Eurozone starts fraying at the margins and falls into deep recession, as I expect, then Russia will probably go down with them, but this time any collapse is unlikely to be as deep or prolonged as in 2008-2009. 5. Largely unnoticed, as of the beginning of this year, Russia, Belarus, and Kazakhstan became a common economic space with free movement of capital, goods, and labor. 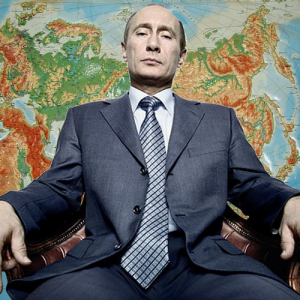 Putin has also made Eurasian (re)integration one of the cornerstones of his Presidential campaign. I expect 2012 will be the year in which Ukraine joins the Eurasian common economic space. EU membership is beginning to lose its shine; despite that, Yanukovych was still rebuffed this December on the Association Agreement due to his government’s prosecution of Yulia Tymoshenko. Ukraine can only afford to pay Russia’s steep prices for gas for one year at most without IMF help, and I doubt it will be forthcoming. Russia itself is willing to sit back and play hardball. It is in this atmosphere that Ukraine will hold its parliamentary elections in October. If the Party of Regions does well, by fair means or foul, it is not impossible to imagine a scenario in which accusations of vote rigging and protests force Yanukovych to turn to Eurasia (as did Lukashenko after the 2010 elections). 6. Russia’s demography. I expect births to remain steady or fall slightly (regardless of the secular trend towards an increasing TFR, the aging of the big 1980’s female cohort is finally starting to make itself felt). Deaths will continue to fall quite rapidly, as excise taxes on vodka – the main contributor to Russia’s high mortality rates – are slated to rise sharply after the Presidential elections. 7. Obama will probably lose to the Republican candidate, who will probably be Mitt Romney. (Much as I would prefer Ron Paul over Obama, and Obama over Romney). I have an entire post and real money devoted to this, read here. The US may well slip back towards recession if Europe tips over in a big way. I stand by my assertion that its fiscal condition is in no way sustainable, but given that the bond vigilantes are preoccupied with Europe it should be able to ride out 2012. 8. There is a 50% (!) chance of a US military confrontation with Iran. If it’s going to be any year, 2012 will be it. And I don’t say this because of the recent headlines about Iranian war games, the downing of the US drone, or the bizarre bomb plot against the Saudi ambassador in the US, but because of structural factors that I have been harping on about for several years (read the “Geopolitical Shocks” section of my Decade Forecast for more details); factors that will make 2012 a “window of opportunity” that will only be fleetingly open. While a nuclear Iran is distasteful to the US, it is still preferable to oil prices spiking up into the high triple digits. But for Israel it is a more existential issue. Netanyahu, in particular, is a hardliner on this issue. The US has withdrawn its troops from Iraq. In 2010, there were rumors that the US had made it clear to Israel that if it flew planes over Iraq to bomb Iran they would be fired upon. This threat (if it existed) is no longer actual. The US finished the development of a next-generation bunker-busting MOP last year and started taking delivery in November 2011. But the Iranians are simultaneously in a race to harden and deepen their nuclear facilities, but this program will not culminate until next year or so. If there is a time to strike in order to maximize the chances of crippling Iran’s nuclear program, it is now. It is in 2012. Additionally, if Europe goes really haywire, oil prices may start dropping as demand is destroyed. In this case, there will be an extra cushion for containing fallout from any Iranian attempt to block off the Strait of Hormuz. Critically, the US does not have to want this fight. Israel can easily force its hand by striking first. The US will be forced into following up. The chances of an Azeri-Armenian war rise to 15% from last year’s 10%. If there is any good time for Azerbaijan to strike, it will be in the chaotic aftermath following a US strike on Iran (though the same constraints will apply as before: Aliyev’s fears of Russian retaliation). 9. Though I usually predict oil price trends (with great and sustained accuracy, I might add), I will not bother doing so this year. With the global situation as unstable as it is it would be a fool’s errand. Things to consider: (1) Whither Europe? (demand destruction); (2) What effect on China and the US? ; (3) the genesis of sustained oil production decline (oil megaprojects are projected to sharply fall off from this year into the indefinite future); (4) The Iranian wildcard: If played, all bets are off. 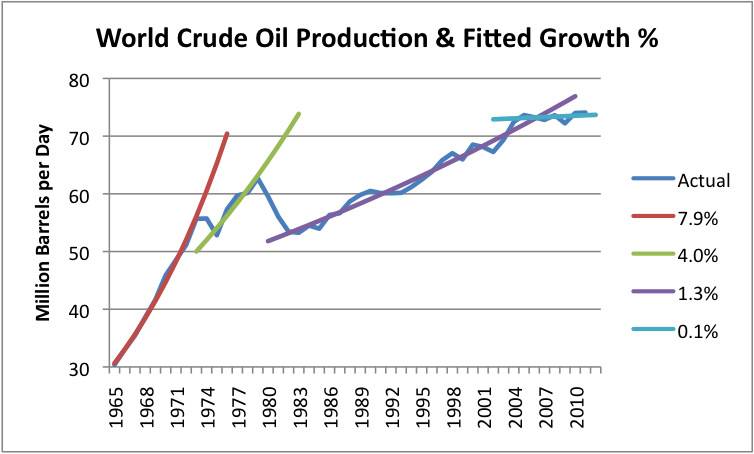 But I will more or less confidently predict that global oil production in 2012 will be a definite decrease on this year. If investing, I would go into US Treasuries (short-term) and gold to hedge against the catastrophic developments; yuan exposure (longterm secular rise) and and US CDS (potential for astounding returns once SHTF). Property is looking good in Minsk, Bulgaria, and Murmansk. Any exposure to Arctic shipping or oil & gas is great; as the sea ice melts at truly prodigious rates, the returns will be amazing. I do think the Euro will survive and eventually strengthen as the weaker countries go out, but not to the extent that I would put money on it. Otherwise, I highly agree with Eric Kraus’ investment advice. 10. China will not see a hard landing. It has its debt problems, but its momentum is unparalleled. Economists have predicted about ten of its past zero collapses. 11. Solar irradiation was still near its cyclical minimum this year, but it can only rise in the next few years; together with the ever-increasing CO2 load, it will likely make for a very warm 2012. So, more broken records in 2012. Record low sea ice extent and volume. And perhaps 100 vessels will sail the Northern Sea Route this year. 12. Tunisia is the only country of the “Arab Spring” that I expect to form a more or less moderate and secular government. According to polls, 75% of Egyptians support death for apostasy and adultery; this is not an environment in which Western liberal ideas can realistically flourish. Ergo for Libya. I can’t say I have any clue as to how Syria will turn out. Things seem strange there: Russia and Israel are ostensibly unlikely, but actually logical, allies of Assad, while the US, France, the UK, and the Gulf monarchies are trying their best to topple him. These wars are waged in the shadows. I’ve got some ways to go before I reach Navalny’s demagogic stature. 13. As mentioned in the intro, 2011 has been a year of protest. As I argued in BRIC’s of Stability, in countries like China, Russia, or Brazil they will remain relatively small and ineffectual. Despite greater scales and tensions, likewise in Europe (though Greece may be an exception); these are old societies, and besides they are relatively rich. They won’t have street revolutions. I do not think Occupy Wall Street has good prospects in the US. By acting outside the mainstream (as part of a “non-systemic opposition”, to borrow from Russian political parlance) it remains irrelevant – the weed smoking and poor sartorial choices of its members works against its attaining respectability – and municipalities across the US are moving to break up their camps with only a few squeaks of protest. (This despite the arrests of 36 journalists, a number that had it been associated with Russia would have cries of Stalinism splashed across Western op-ed pages). I say this as someone who is broadly sympathetic with OWS aims and has attended associated events in Berkeley. The nature of protest in the Arab world is fundamentally different, harkening back to earlier and more dramatic times: Bread riots, not hipsters with iPhones; against cynical and corrupt dictators, not cynical and corrupt pseudo-democrats; featuring fundamental debates about reconciling democracy, liberalism and religion, as opposed to weird slogans like “Occupy first. Demands come later.” Meh. 14. The world will, of course, end on December 21, 2012. What about the 2011 Predictions? 2) Neither the Iranian war (chance: 40%) or an Azeri-Armenian war (chance: 10%) took place. If they don’t happen in 2012, their chances of happening will begin to rapidly decline. 3) Luzhkov still hasn’t been been hit with corruption charges, but merely called forth as a witness. Wrong. Prediction of 3.5%-5.5% growth for Russia was exactly correct (estimates now converging to 4.0%-4.5%). 4) Pretty much correct about the US and the UK, though I didn’t predict anything drastic or unconventional for them. 5) “Oil prices should stay at around $80-120 in 2010 and production will remain roughly stable as increased demand (from China mostly) collides with geological depletion.” Totally correct, as usual. 7) 2011 was the warmest La Nina year on record, so in a sense thermometers did break records this year. “Speaking of the Arctic, as its longterm ice volume continues to plummet and sea ice extent retreats, we can expect more circumpolar shipping. I wouldn’t be surprised to see up to 10 non-stop voyages along the Northern Sea Route from Europe to China, following just one by MV Nordic Barents in 2010.” If anything, I low-balled it. 34 ships made the passage this year! Sea ice cover was the second lowest on record, and sea ice volume was the lowest. So in the broad sense, absolutely correct. “Likewise, expect the Arctic to become a major locus of investment.” This year, plans were announced to double the capacity of the Port of Murmansk by 2015. 8) Wrong on the Wikileaks prediction. The insurance file was released by The Guardian’s carelessness (whose journalists, David Leigh and Luke Harding, then proceeded to mendaciously lie about it), not by Assange. And the extradition proceedings are taking far longer than expected, though my suspicions that his case is politically motivated is reinforced by US prosecutors’ apparent pressure on Bradley Manning to implicate Assange in the theft of the State Department cables. 9) On Peter’s enthusiastic reminder, I did get my Russia Presidential predictions for 2012 wrong. Or 75% wrong, to be precise, and 20% right (those were the odds that I gave for Putin’s return back in May). I did however cover it separately on a different post, here. That said, I do not think the logic I used was fundamentally flawed; many other Kremlinologists ended up in the same boat (and most didn’t hedge like I did).